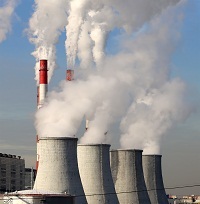 The harmful effects of air pollution have long been a growing concern. In a recent study by the National Institutes of Health (NIH), pregnant women afflicted with asthma were advised to avoid early exposure to traffic-related air pollution, as they may be at greater risk of preterm birth. Published in the Journal of Allergy and Clinical Immunology, the findings revealed an increased risk of premature birth linked to ongoing and short-term exposure to nitrogen oxide and carbon monoxide when women were exposed to those pollutants before conception and in early pregnancy. The researchers analyzed data from a national sample of 223,502 pregnancies with a single fetus from 2002 to 2008 – the electronic records of the female patients included their asthma status and date of delivery. To assess the potential effects of air pollution on a weekly basis, the research team matched their data with daily measures of air quality from the hospitals’ surrounding regions. Particularly, an increase of 30 parts per billion in nitrogen oxide exposure in the last three months before pregnancy was found to increase the risk of preterm birth by approximately 30% for asthmatic women. Additionally, higher carbon monoxide exposure during the same three-month period spiked preterm birth risk for pregnant women with asthma by 12%. Prior reports from the CDC had associated maternal asthma with a higher risk of pregnancy complications and health problems for infants. While further studies are in the pipeline, Mendola suggests pregnant asthma patients concerned about exposure to air pollution can limit their outdoor activity during periods when the air quality is forecast by the Environmental Protection Agency to be at its worst.